The Coathangers. Photo by Macey Norvell. The Coathangers showcased choppy guitar riffs and dynamic vocal harmonies at Friday night's Riot Room gig. 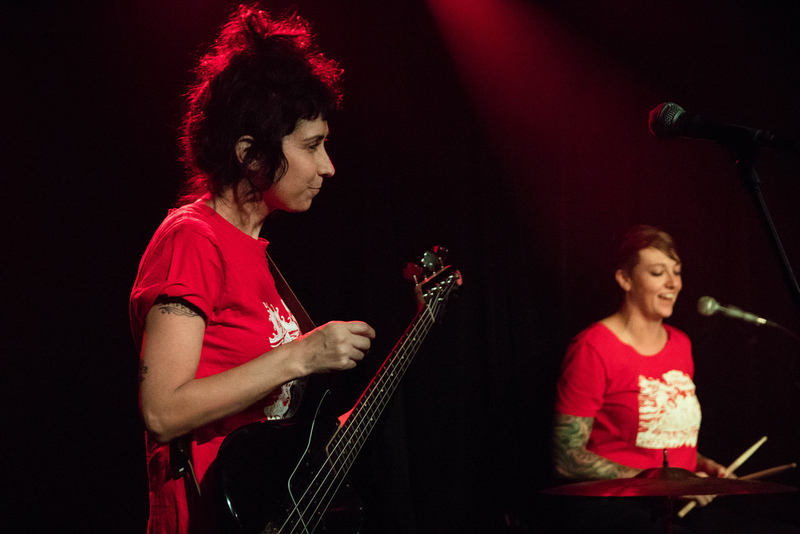 Drummer Stephanie Luke's deep rasp worked to compliment guitarist Julia Kugel's high-pitched wails. Fans reflected the band's fun and relaxed attitude by dancing non-stop from the minute they started their fist song until the end of the night. Residuels provided the audience with lengthy yet attention-grabbing instrumental pieces played with heavy amounts of guitar effects. Kansas City natives The Whiffs opened the show with melodic rock tunes fit for cutting a rug.